Self contained motel style room with queen size bed and ensuite bathroom. Table/chairs, TV, DVD, kitchenette with sink, microwave, toaster, hot water jug, fridge, crockery/cutlery/glasses etc, reverse cycle air-conditioning. Quality linen and towels etc provided. Self catering. Swimming pool, tennis court and off street car parking. Sleeps 2 people. Self contained motel style room with queen size bed, a set of bunk beds and ensuite bathroom. Table/chairs, TV, DVD, kitchenette with sink, microwave, toaster, hot water jug, fridge, crockery/cutlery/glasses etc, reverse cycle air-conditioning. Access to laundry facilities and drying room. Quality linen/towels etc provided. Self catering. Swimming pool, tennis court, communal BBQ and off street car parking. Sleeps up to 4 people. Self contained motel style room with 2 x sets of bunk beds and ensuite bathroom. Table/chairs, TV, DVD, kitchenette with sink, microwave, toaster, hot water jug, fridge, crockery/cutlery/glasses etc, reverse cycle air-conditioning. Quality linen and towels etc provided. Self catering. Swimming pool, tennis court and off street car parking. Sleeps 2 to 4 people. Self contained, one bedroom apartment with queen size bed and a set of bunk beds, ensuite. Living/dining room with double sofa bed. Fully equipped kitchen with dishwasher. TVs, DVDs, radio/CD player, reverse cycle air-conditioning. Access to laundry facilities and drying room. Quality linen and towels etc provided. Self catering. Swimming pool, tennis court, communal BBQ and off street car parking. Sleeps up to 4 people . Self contained, one bedroom apartment on two levels with queen size bed and ensuite bathroom. Living/dining room with double sofa bed. Second bathroom. Fully equipped kitchen with dishwasher. TVs, DVDs, stereo. Reverse cycle air-conditioning. Laundry facilities and drying room. 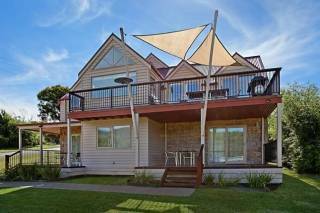 Deck with views to Mt Buller and BBQ.outdoor setting. Quality linen and towels etc provided. Self catering. Swimming pool, tennis court. Off street car parking Sleeps up to 4 people if 2 sleep on sofa bed. Off Mountain Accommodation caters for visitors to the Mansfield and Merrijig area. There are a number of short term holiday accommodation options ranging from 1, 2 and 3 bedroom apartments and motel style rooms at Delatite Apartments Merrijig to a 2 bedroom cottage in Barwite. All accommodation is self contained and self catering. When you visit the Mansfield/Merrijig/Mt Buller area, you can’t go past Off Mountain Accommodation when you are looking for somewhere to stay. Quality, modern, affordable holiday accommodation that is available all year round. Winter, summer, autumn or spring, there’s always something exiciting do do in Victoria’s High Country. 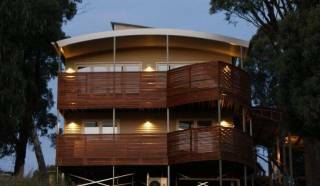 Alternatively you can simply relax and enjoy the beautiful scenery, play a round of golf or go for a bush walk. All properties at Delatite Apartments Merrijig have access to swimming pool, floodlit tennis court and BBQ. 1.All payments by credit card – we accept Visa and Master Card. By special arrangement payment will be accepted by direct deposit. 2.An initial deposit of 50% is required upon confirming reservation. Balance 30 days prior to arrival. 3.Surcharge may apply at Christmas/New Year/Easter and long weekends. 5.Weekend — Friday/Saturday or Saturday/Sunday. 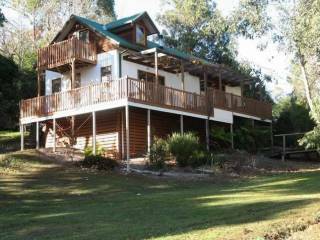 6.Sorry, no pets except at Allambie which is dog and horse friendly. 7.Cleaning fees apply to rooms not left in an acceptable condition. 1.Cancellation within 30 days of arrival – an administration fee of $30.00. 3.Cancellation within 7 days of arrival – 100% of total tariff (unless relet). 4.No refunds on early departures.